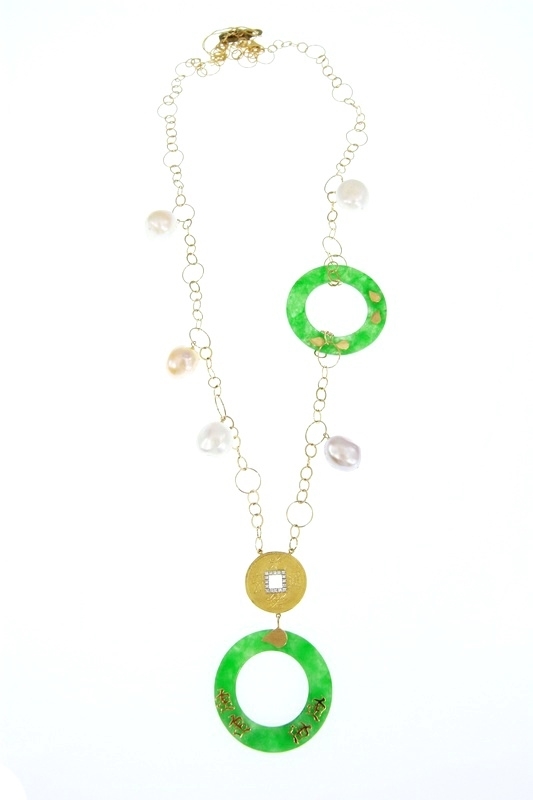 A stunning Green Jade Disc, Baroque Pearl & Diamond Necklace high with Asian influence. 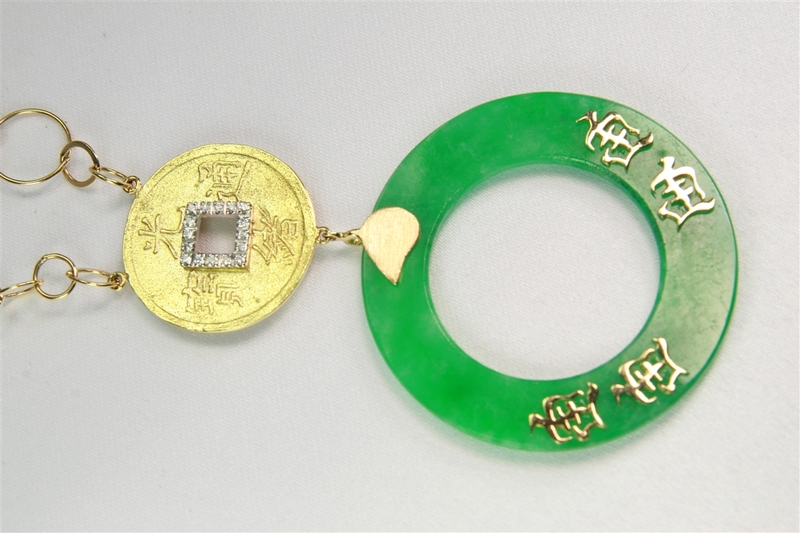 The Jade Discs are enhanced with Oriental Letters and the Golden Disc Pendant has 0.13ct Diamonds Pave set. Made in 18k Yellow Gold by Leaderline. Lobster Clasp.